New Delhi: Private sector general insurer HDFC ERGO on Monday said it will provide $15 million insurance cover for the first ever Formula 1 race to be held in India. 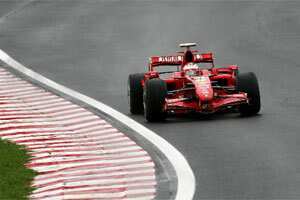 India will host its first Formula 1 Grand Prix on 30 October, 2011 on a 5.14 km track, in Greater Noida, built by Jaypee Sports International (JPSI). The insurance cover would protect the Formula 1 event against adverse weather, non-appearance of teams, riots, strikes and civil commotion leading to cancellation of the event, its postponement or relocation. “Underwriting a prestigious event like Formula 1 Race is an unique occasion for us, as it demonstrates our capability to insure large-size, multifaceted projects," HDFC ERGO head (corporate and rural & agri business) Anuj Tyagi said. An Event Cancellation Insurance Policy is a “saviour for the organisers because it pays any irrecoverable cost or expense which have been incurred in connection with the event following a cancellation, interruption, postponement or relocation due to any of the insured perils," Ace Insurance Brokers director Anil Arora said.